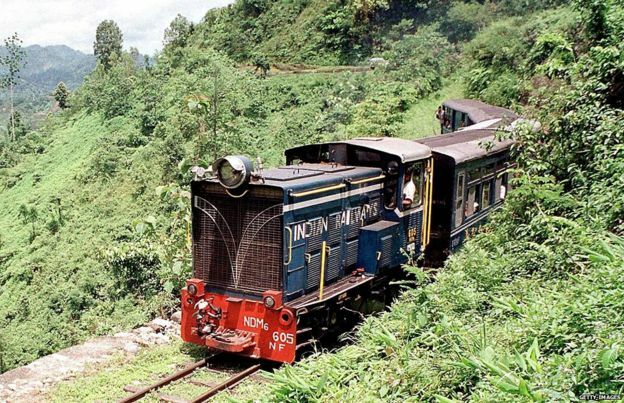 The Himalayan tea train that’s running out of steam | Words, By George! Banerjee’s view is shared by many who know the region. There are a couple of token tourist steam services optimistically called the Joy Trains. 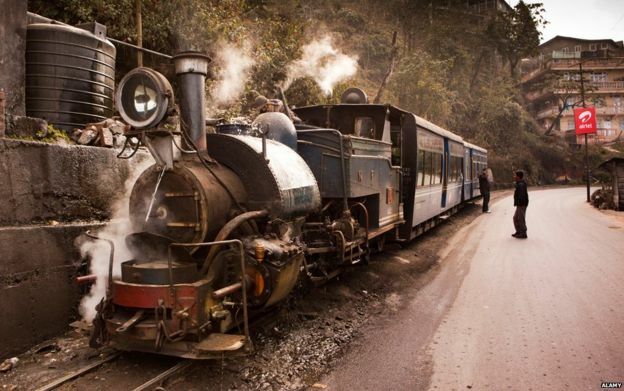 The most popular shuttles back and forth along the five mile (7km) litter-strewn urban sprawl between Darjeeling and neighbouring Ghum. Almost everyone I spoke to believed that the answer is the political cost of privatising even the tiniest outpost of India’s monolithic state-owned railway. More than a million people work for Indian Railways and their unions fiercely oppose any privatisation. 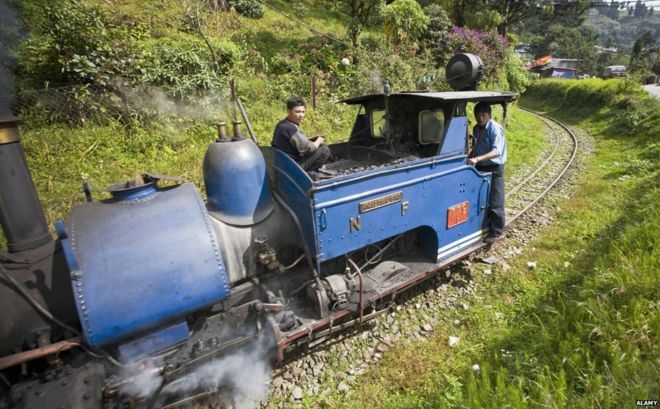 Darjeeling Himalayan Mountain Railway steam train taking on water. 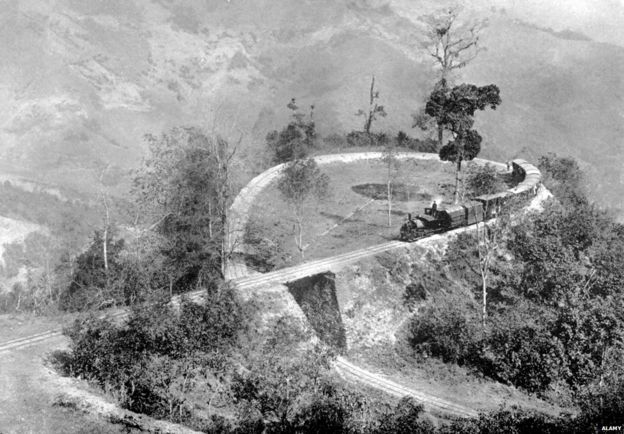 Back between Darjeeling and Ghum, tourist taxis wait impatiently as the Joy Train crosses the road they share, almost willing on the day when the railway will be gone, and with it Rajah Banerjee’s dream of a world-class tourist train with new dining cars and reopened station buffets, presumably with lidless teapots.